There is a misperception that programming for 5-axis is complicated, time consuming, and requires you to buy an expensive CAD/CAM package. Yes, you need to invest in a CAM system for simultaneous 5-axis work (complex parts, such as turbines or impellers). This isn’t always the case for 5-sided machining. 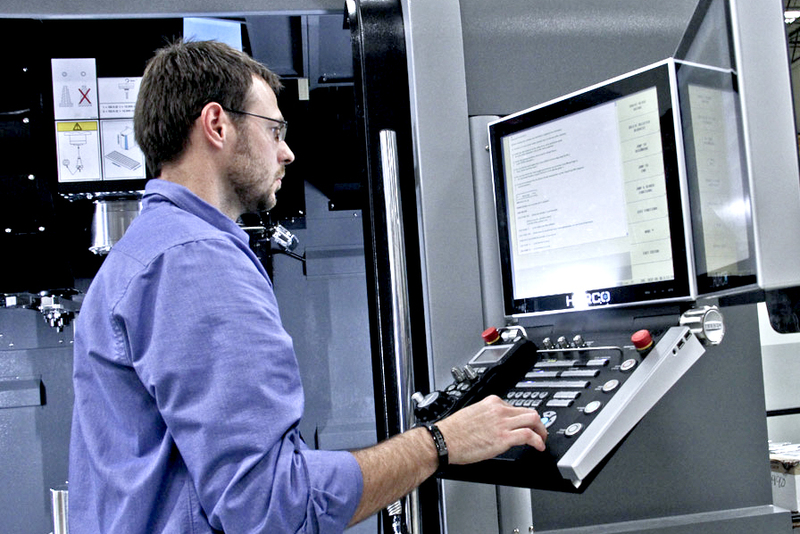 Understanding the capabilities of the control on a 5-axis machining center is critical to maximizing the benefits of 5-sided machining. There are only a handful of controls that give you the ability to program a part for 5-sided machining without a CAM system—and even fewer that make the transition easy with the use of software features embedded in the control. Conversational programming has a rich history at Hurco—the co-founder of Hurco, Gerald Roch, invented it. Mr. Roch grew up at his grandfather’s tool and die shop and was always fascinated with finding ways to make things work better, faster, more efficient.